Crystalized, sleek, fashionable and powerful. The new and innovative yarn structure of Prizma gives you a mesmerizing crystalized surface effect. Enhanced even further by a Chintz wetlook surface, Prizma takes your garment to the next level by giving you a sleek and crystalized look and feel. Perfect for your next Athfashion range. This unique 3D surface effect creates a sporty yet fashionable finish to make your garment truly unique. Whilst still providing the superior performance properties of the Subli-Cool 2.0 yarn technology, you can not only feel confident, but also look fantastic. Combine with our Subli-cool 2.0 Black as a feature or use as a statement piece on its own. Our 3D surface technology designs will only be available for a limited time only. Once these designs are sold out, they will be replaced with a new and exciting design picked from our extensive library of fashionable and active inspired patterns. Soft, comfortable and odour free. This double sueded Polyester envelops the skin, giving you the feeling of a natural fibre such as Cotton plus the added performance benefits that a Polyester yarn naturally gives. Perfect for printed t-shirts. Even though the surface effect is slightly brushed, the soft finish still gives a clean and crisp printed effect. Combined with the natural benefits of a quick drying and durable Polyester, it is also complemented with an Anti-bacterial finish, keeping your garment fresh during and after your workout by inhibiting bacterial growth and eliminating odour. Inspired by unfocused dreamy vintage florals, these patterns are a refreshing and softer alternaive to the stronger maximalist prints. The chalky undertones create a natural water colour effect, portraying the growing demand of bio-based dyes over synthetic brights. More Of Our Famous Limited Offers! As promised, Eclipse will be releasing more limited offers this year due to popular demand, giving our customers a variety of new designs to work with all year round. Due to evolving textile printing technology, Eclipse Textiles has now become the leaders in LYCRA® with a digital print stock service which is very exciting! Well its that time of year again where we have our Limited Offer range release for the dance industry end of year concerts. I can't believe how quick this year has gone? I am sure you are all busy with the dance schools organizing your costumes! Below is a brief video clip and images of our new designs that you may want to throw into the mix of your crazy creations. As usual, we always tweak our designs or start from scratch to ensure our customers have unique designs to work with. LYCRA®: What is it exactly, how does it work, and what Elastane technology is available? Considering we are the leaders in LYCRA®, we thought it would be appropriate to blog about Elastane, what it does for your garment, and what Elastane technology is available. The Strong Australian Dollar: Friend or Foe? We were asked recently by Ragtrader Magazine how the strong Australian dollar is affecting us as a supplier. 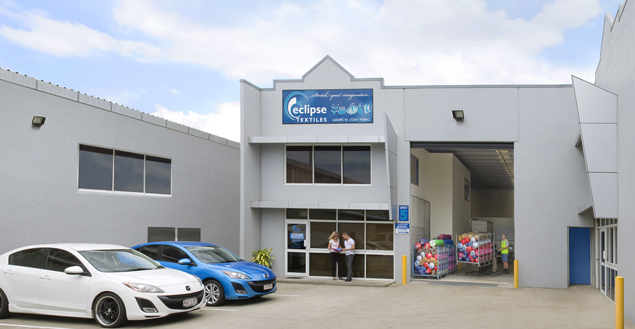 Tim Hennessy, the director of Eclipse Textiles, has contributed his thoughts below. How is this affecting you? Do you agree with Tim's thoughts? We are interested to hear your comments. To make things easier for you, we have created a social network platform that will keep you in the loop with what’s going on, and be a valuable use of the time you have allocated towards keeping up with industry trends and news. Our informative and interactive blog will not only keep you in touch with what is happening in the industry, but, will also give you the opportunity to comment and contribute.